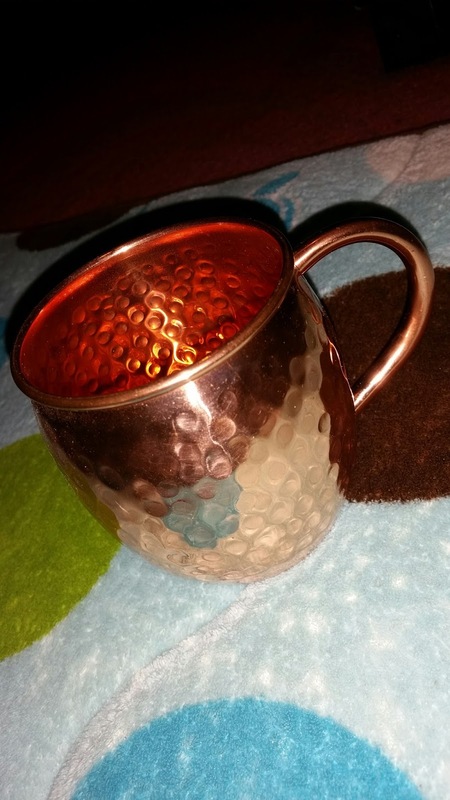 Hey guys I want to tell you about the Copper Moscow Mule cup this cup is amazing and keeps your drinks really cold this is great for mixed drinks sodas water coffees anything you want to put ice in or anything that you want to keep really cold. I actually used the shot glass for now for my oil pulling but this will come in handy for many things. This cup reminds me of when I was little my grandmother had cups like this. 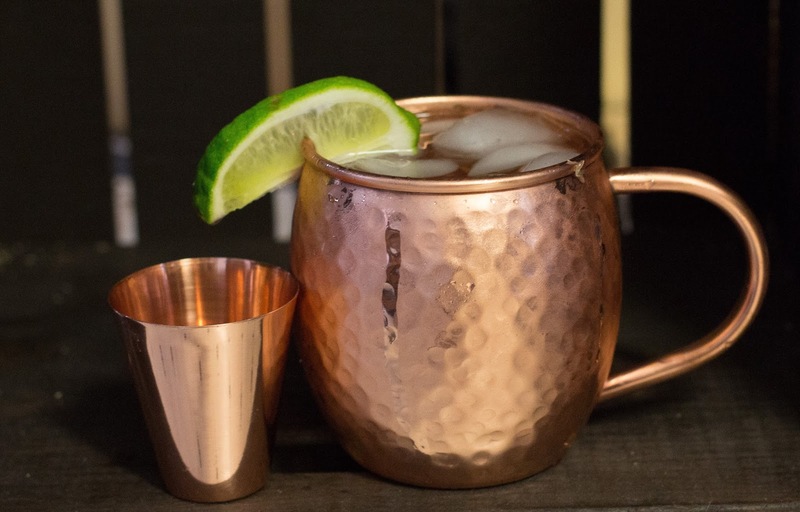 100% COPPER FOR AUTHENTIC MOSCOW MULE- Moscow Mules were meant to be served in a 100% pure copper mug - so why have it any other way? Copper retains the cold of any drink better than other materials and significantly improves the taste (and experience!) 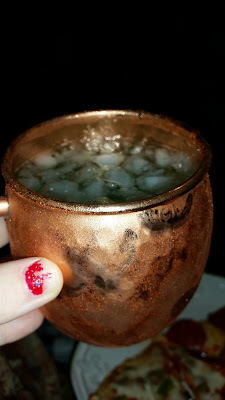 of drinking a Moscow Mule. While lots of other copper mugs have stainless-steel, nickel, or food-lacquer inner coatings which contaminates your drink, our mugs are 100% copper with absolutely no impurities, additives or lining. When you serve up Moscow Mules in our 100% copper you’re ensured the proper citric acid reaction for maximum taste and enjoyment. PURE COPPER SHOT GLASS--Included with your Pure Copper Mug is a FREE 100% Copper Shot Glass! This beautifully-crafted shot glass lets you make your drinks in style. 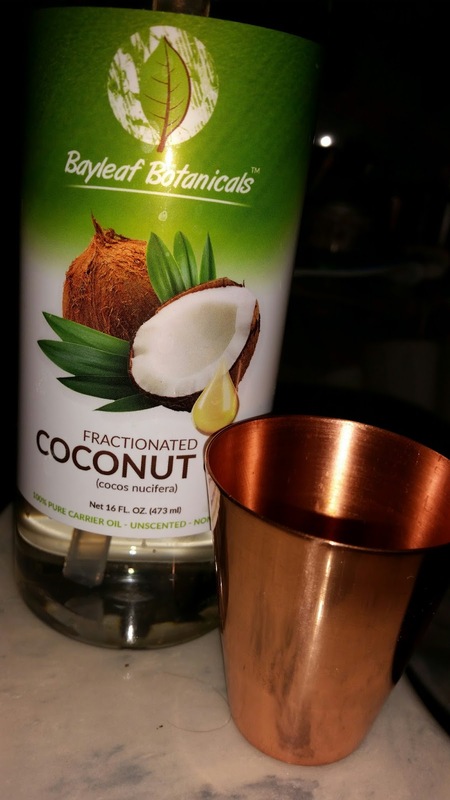 It also ensures you can measure out and create your Moscow Mule with 100% copper for a blemish-free drink.These copper shot glasses make a stylish one-of-a-kind addition to any kitchen! HIGHEST QUALITY-- Our Copper Moscow Mule Mugs are each carefully handcrafted into the beautiful hammered copper mug you see in the product images. The hammered barrel mug is classy and comfortable to drink out of. The 16 oz capacity is the perfect size to hold your drink and ice cubes without worrying about spills like other smaller mugs. Each handle is seamlessly welded to the mug's exterior for a sleek and sturdy design - no tacky rivets or flimsy handles here! NUMEROUS USES--Our Copper Mug works great for chilled beer, iced coffee, iced tea and any vodka, gin, rum, tequila, or whiskey mixed drinks. The copper mug is unparalleled in retaining cold and transferring the refreshing coolness of your drink directly to your lips for an experience that can't be beat! Moreover, many experts tout the benefits of drinking water from 100% copper drinkware.